Grind or crush coriander seeds, mix with turmeric and paprika. Combine with olive oil and lime juice. Rub the marinade into chicken drumsticks. Add garlic cloves, season generously with pepper and salt to taste. Cover and leave to marinade in the fridge for 1-3 hours, or skip this step and arrange chicken (with all marinade juices) onto a baking tray or dish. Bake in the preheated 200C oven for 20 minutes. Then low the heat to 150C, cover with a piece of foil and bake for 10 minutes longer or until the drumsticks have cooked through. Serve warm, but they are also good cold. The cooked drumsticks will keep in the fridge for 2 days. Apr21April 21, 2015 • By milkandbun • This entry was posted in Midweek Meals, Poultry and tagged accompaniment for beer, blog, Blogging, chicken, chicken drumsticks, cooking, coriander drumsticks, coriander seeds, dinner, easy recipe, food photo, food photography, midweek meal, midweek recipe, My Life, oven baked drumsticks, photo, photography, recipe, roast chicken, roast drumsticks. Bookmark the permalink. Another beautiful photograph and tasty recipe! Love this one. And I really like cold leftover chicken, it’s delicious. These are some of my favorite seasonings for chicken! Yum! Coriander is such an aromatic seasoning, love it too! 🙂 Thanks for commenting, Michelle! Yummy chicken and gorgeous photo. I love drumsticks. 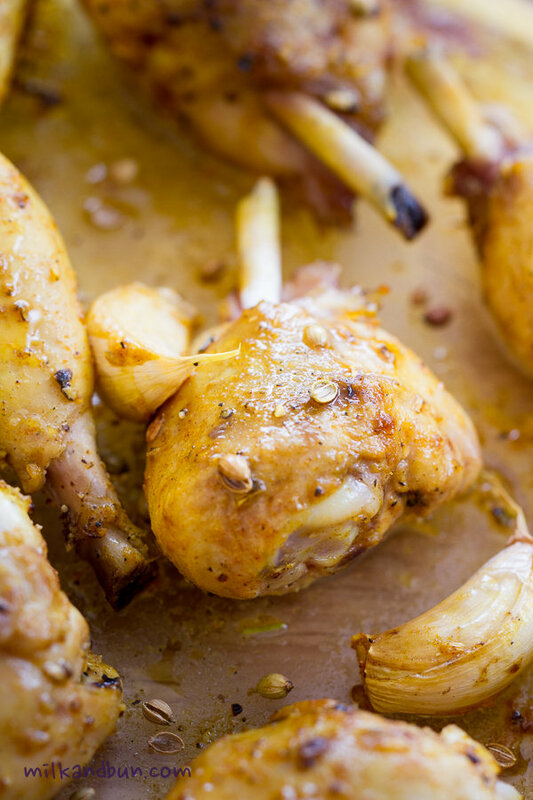 those look fantastic–always good to have new recipes for drumsticks. We make them a lot as my kids enjoy, but never get too crazy with seasonings. Definitely will try this! And what about me – I do like experiments with spices and herbs, chicken is such a nice meat that almost any spice goes well with it! 🙂 How do you usually cook drumsticks, Liz? Roasting or frying? Looks delicious! I just bought several drumsticks as they were on sale and have been looking for new recipes. Perfect timing! What’s the country/city you’re living in, lucky girl? 😀 I’ve never seen drumsticks or any other chicken parts on sale here! Even your chicken looks gourmet. You’re amazing. Coriander seeds are one of my favorite things, along with garlic. This is a perfect and simple weeknight meal that i must try. This sounds delicious, love the combination of spices you used here.